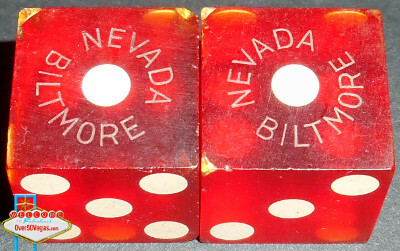 Original dice used at the Nevada Biltmore. 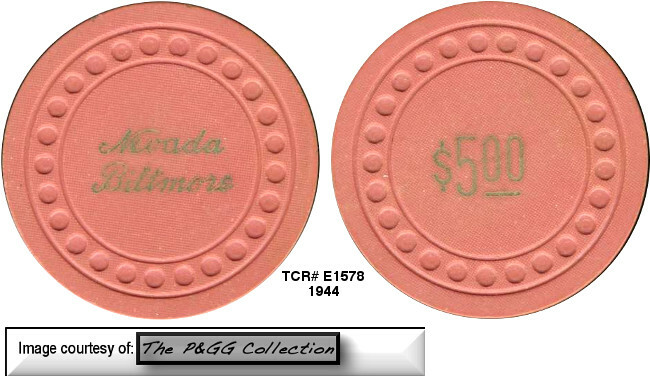 The Nevada Biltmore Hotel had a very colorful run. 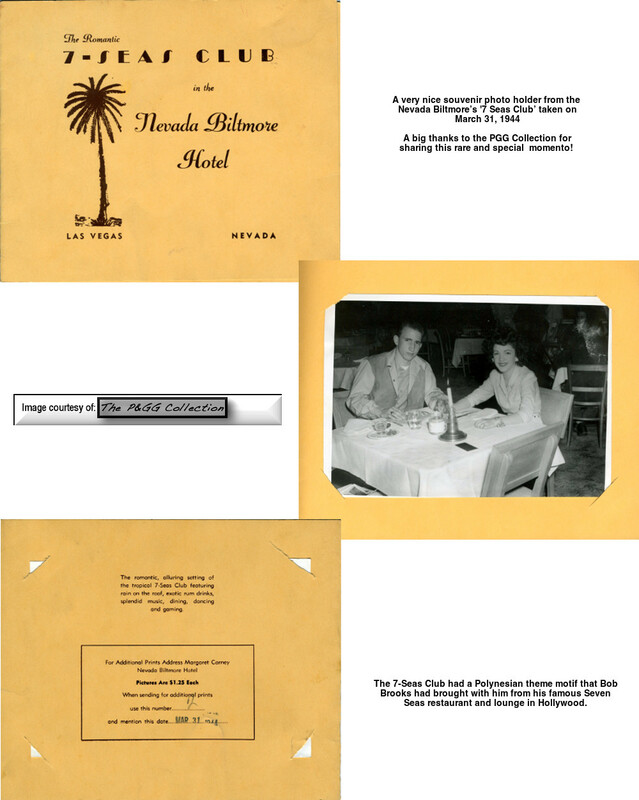 "Colorful" being the important word. 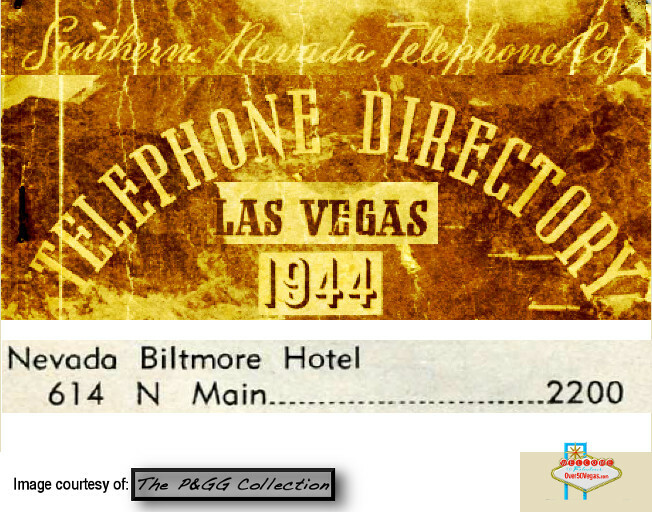 Nevada Biltmore Page 2 adds many other names to the roster of Nevada Biltmore owners, operators, and interested parties including the famous big band leader Horace Heidt. 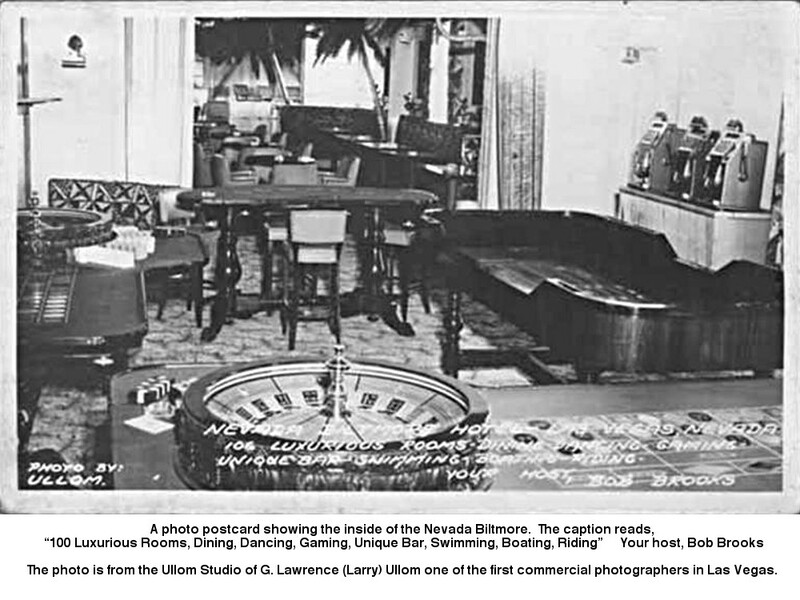 It also includes the multiple lawsuits and court cases over discrimination in one of the early and lesser known casinos for African-Americans in Las Vegas. 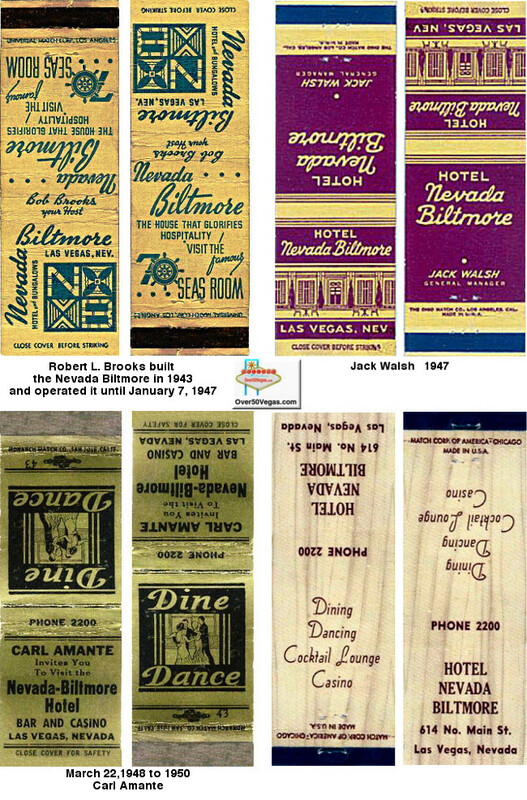 Matchbooks from the Nevada Biltmore show the changing names of the principals of the Nevada Biltmore over the years. 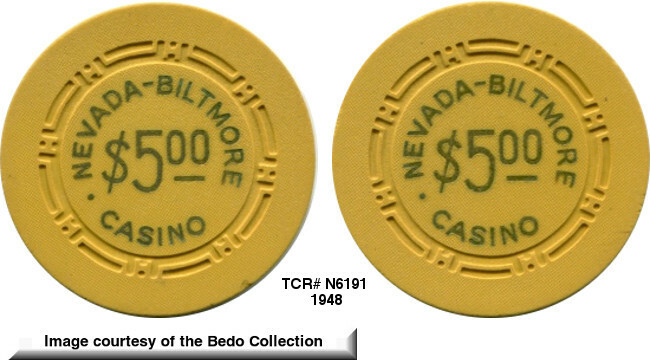 One of the chips that was used on the tables shown in the old photo postcard below. 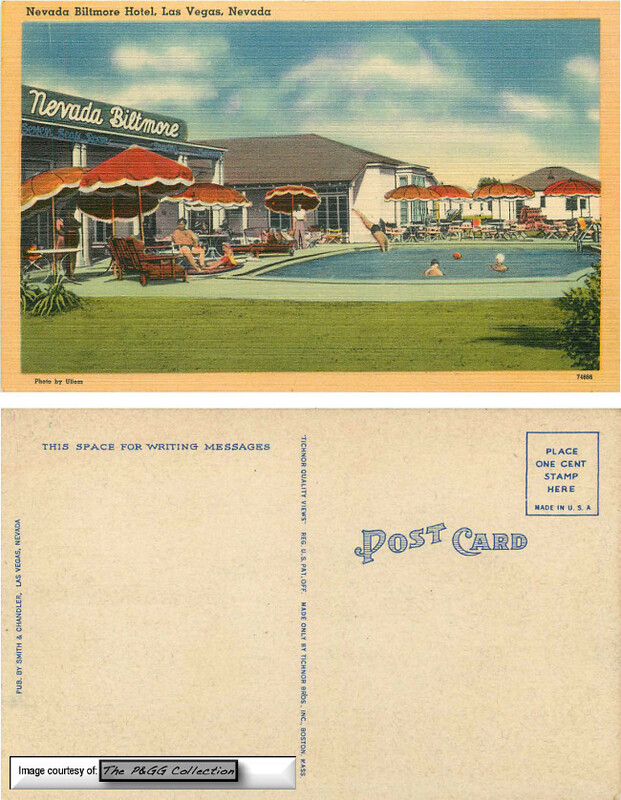 to the Nevada Biltmore from his famous Seven Seas restaurant and lounge in Hollywood.